GET YOUR TICKETS ——> tbbmarch2019mixer.eventbrite.com. The Blog Bloc is excited to host its March Mixer: Bulletproof Your Business on Wednesday, March 27th at 6:00 pm at Cowo Campus in Midtown Sacramento. We're honored to have Yvonne Heimann of AskYvi, a business efficiency coach as our featured presenter this month! We'll talk about how to bulletproof your content and develop a workflow and best practices that will allow you to make sure you didn’t forget a single step in the process. Come prepared with your laptop/notebook, questions and be ready to put your plan into action. 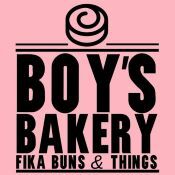 Nibbles brought to you by Boy’s Bakery! 7:30pm: Finish making those connections before you head home! No matter if you're just starting out or have been building your brand for years, there is something to learn at this event. Makers, freelancers, and small business owners are strongly encouraged to attend. Cowo Campus is Sacramento's creative co-working and multi-purpose event space totaling 6000 sq ft, private offices, meeting rooms and a photography studio. Cowo Campus is conveniently located in the heart of Midtown Sacramento and is a creative hub for local entrepreneurs and creatives from all backgrounds. They believe in the value of community and work to support the cross-pollination of talent and ideas that are present throughout the Sacramento area. Learn more on Cowo Campus’ website. We're very excited to host our February event in partnership with Canon East Sacramento! Network with some of Sacramento's hottest bloggers, influencers, photographers, and creatives so you collaborate and brainstorm for the new year. Attendees will be grouped together for breakout sessions, discussing topics that affect content creators and creative business owners including proper business planning, best practices for self-promotion, contracts and copyrights, 2019 trends and more. Your ticket includes admission, small bites, and an assortment of beverages. Get yours at tbbfebruary2019mixer.eventbrite.com! Does thinking about what to post next on your blog or Instagram wrack your brain? Are you overwhelmed with ideas and no clear way to organize them? Are you feeling stuck when it comes to your content and not sure what to do next? What if you had a roadmap for all of your content in 2019? All of it? You can if you come to our Content Planning mixer on Wednesday, November 14! Our workshop will be led by our February speaker, Melissa Camilleri, MFA, an entrepreneur, coach, course developer and the leader of Better Together Accountability and Writing Circles. Melissa will share how to generate ideas for content, how to organize them and set yourself up for success. Whether your focus will be on your blog content, social media content themes, or you just want to shake things up, this event will help alleviate the stress that can come with being a content creator and get your 2019 content off to a running start. If you have a laptop/tablet, you'll want to bring it to this session. A content calendar template will be shared with you! 6:30-7:30pm: Presentation by Melissa Camilleri. Get those laptops out if you have them! 7:30pm: Finish making those connections before you head home. We are so excited to welcome two members of The Blog Bloc to the stage to share their knowledge at Building Your Pinterest Strategy! Learn how members Gennifer and Katrina skyrocketed their site traffic and reach with Pinterest and how it's supported their other pursuits as well. You'll walk away with actionable tips to increase your own reach! Summer is winding down, and before we go full steam ahead with our fall "Back to School" programming, let's enjoy a Summer Soiree at the headquarters of Pizza Guys! Be transported to Italy at their beautifully designed event space for some networking and good times with bloggers, influencers, photographers, and creatives of Sacramento. Your ticket includes admission + raffle ticket, pizza + bites, and an assortment of beverages! Gluten and Dairy-Free options available. The past two events we've learned from industry experts. Now, it's time to learn from each other! Join us for Speed Mentoring with Bloggers, Influencers and Creatives! You'll move around the room to your designated table with several prompts to foster conversation and collaboration. Have you ever wondered how so-and-so's photo gets so much engagement? Want to know what others think of a content series you're launching? Looking for clarity on how much to charge for partnerships? Your ticket includes admission, hosted apps and beverages. Many thanks to our event sponsor Nugget Markets! As our panelists touched on at our May event, Facebook is still a dominant social media channel when it comes to branded content. With over 2 billion active users per month, it is still the main traffic driver for many brands, big and small. Facebook Pages help people connect with your brand while ads help people discover it. Now, we will learn how to refine your strategy for your content (or the products you are selling). We're honored to have Logan Mayville, a digital marketing consultant and certified Facebook Advertising expert as our featured speaker this month! We'll talk about Facebook Business and best practices for ads, no matter the budget. Come prepared with questions and be ready to put those answers into action following the mixer! No matter if you're just starting out or have been building your brand for years, there is something to learn at this event. Makers and small business owners are strongly encouraged to attend! Join us for a panel discussion on the topic of Brand Collabs & Current Trends on Wednesday, May 9. Think it's all about numbers? Think again. You'll hear from two experts in the field of Content and Influencer Marketing and their view on what brands are looking for and what it takes to stand out. After a panel discussion, we'll have a brief Q&A with our panelist so have those questions ready. Francesca has an extensive background in content marketing, public relations, and social outreach. She oversees all Operations at Sway Group, a network that connects corporate and agency clients with the right influencers to create content marketing campaigns. Francesca was recognized as a leader early in her blogging career, snagging multiple awards, including recognition by Nielsen Online as one of the Top 50 Power Moms. As the PR & Content Marketing Manager at Augustine, Marta is responsible for strategic program implementation, tactical planning, public relations efforts, influencer marketing and relationship building, and content creation and marketing for a wide variety of clients. Marta has lead teams to successful outcomes leveraging social media, traditional media, and content generation and has experience working with a variety of media outlets including broadcast, print, and digital media. 6:30-7:30pm: Presentation from our esteemed panel! Join us for a panel discussion on the topic of Community and Collaboration on Wednesday, March 14. Many communities - online and in real life, have been created by bloggers and social media influencers. You'll hear from those who have built community, but you'll learn about their unique take on the power of collaboration. Participate in the discussion about the importance of building your tribe, making connections and working together to grow your reach and brand loyalty! 6-6:30 pm: Sign-in and mingling with other bloggers, influencers, and creatives. 7:30 pm: Finish making those connections before you head home. Get ready to take your 2018 Instagram strategy to the next level with Melissa Camilleri of Compliment! Melissa, a former teacher, has cultivated many courses and programs for creative entrepreneurs, including her 21 Day Insta Course. She will share her tried-and-true tips to stand out amongst the crowd and ways to create content that resonates with your followers. We'll also talk through the algorithm changes that hit at the top of the year, and open it up to the audience to ask questions. 6:30-7:30pm: Presentation from featured speaker, Melissa Camilleri with a moderated Q&A at the end! Shake the dust off of that camera! Stop shooting in Auto! The Blog Bloc invites you to step your photo game up at Get Into Focus: A Photo Workshop for Bloggers and Influencers. You will move through three stations, round-robin style to get comfortable in a few different areas of photography including photo styling, shooting in manual, and editing in Lightroom. You will also have time to practice what you've learned and ask your questions in real time. As a photographer, Christina loves connecting with people through her camera. While weddings are a blast for her to shoot, there’s nothing like the intimacy of taking someone’s portrait. She focuses on capturing emotion, light, and color, and smiles. She'll teach you an intro to manual mode and basic camera settings, along with her favorite pro portrait tips! Bring your camera and get ready to shoot! Mae Batista is a Sacramento based photographer, specializing in candid moments but incorporates traditional shots that can be adored for generations. Learn Lightroom essentials such as using the adjustments panel to create insta-worthy images and saving your own presets. Colour Me Classic has developed a curated set of styled stock photography line, available on Creative Market, designed for creative professionals. These photos are a great way to add a modern, sleek and breathable aesthetic to your brand. Haley will share the components for producing the perfect flat lay, and watch you put your learnings in action! Your ticket includes a pre-event folder of resources, intimate instruction in a supportive and collaborative environment as well as breakfast bites and beverages! See you there! Please note: To get the most out of the workshop, attendees are encouraged to bring their own DSLRs and laptops with Lightroom installed in advance of the event. CONTENT. You create it. You own it. You share it. You pitch it. You love it. As a blogger, creative-preneur, and business owner, you have to, right? Learn tricks to do it with less stress and more efficacy and tools to help you keep it all together. You'll start the evening by mixing and mingling with other bloggers, then you'll enjoy a short presentation before you break out into groups to plan out your content for the next week, month or rest of the year! Attendees are highly encouraged to bring their laptops, notebooks, cameras, etc. There are numerous "Outlets" to plug into at Outlet Coworking. Your ticket includes admission as well as small bites, and beverages. See you there! Summer is winding down, and before we go full steam ahead with our Fall "Back to School" programming, let's enjoy a Toast to Summer in partnership with Wide Open Walls! Network with some of Sacramento's hottest bloggers, influencers, photographers, and creatives. You wanted more time to chat and collaborate, and we're giving it to you. Need a little bit of help? Don't worry. We will have various "networking stations" for you to move to, at your pace. Your ticket includes admission, small bites provided by Nugget Markets, and an assortment of beverages! The past two events we've learned from industry experts. Now, it's time to learn from each other! Join us for Speed Mentoring with Bloggers and Influencers at Bar Rouse! Have you ever wondered how so-and-so's photo gets so much engagement? Want to know what others think of a content series you're launching? Looking for clarity on how much to charge for partnerships? Your ticket includes admission, hosted apps and one beverage of choice (beer/wine/cocktail/mocktail). Come ready to learn everything you need to stand out to brands and media from our featured speaker, Ramona Russell, award-winning PR pro with over 15 years in public relations, marketing and sales. Her clients come from every industry imaginable, and by getting them featured by the media, some increased their revenue in under ten days, and others became bloggers for such publications as The Huffington Post. She's had dozens upon dozens of features in places such as FOXNEWS, BUSINESSWEEK, LUCKY MAGAZINE, IDEA FITNESS JOURNAL and was a panelist for a Microsoft business event. Long story short, this lady knows her stuff. 6-6:30pm: Sign-in, mingling and pizza/beverages with other bloggers, influencers, and creatives. 6:30-7:30pm: Presentation from featured speaker, Ramona Russell, followed by questions from YOU! Your ticket price includes the lecture, pizza and (1) beer/wine/beverage of choice. No matter if you're just starting out in the blogging game and have no idea where to even begin, or have been building your brand for years, there is something to learn at this event. Makers and small business owners are strongly encouraged to attend! Need to write your blog posts for the week? Want to practice your photography? Seeking some input on some content you created? Come to our strategy session at Identity Coffees! These two hours will be used however you need them to further your blogging efforts. Drop in or stay for the whole time! Everyone is welcomed. This month, we're talking about building your personal brand, because let's face it, it's the first step in being taken seriously as a blogger and influencer. Knowing who and what your brand is about and what you stand for is crucial when it comes to landing brand opportunities and extending your reach. No matter if you're just starting out in this blogging game and have no idea where to even begin, or have been building your brand for years and need a tune-up, you don't want to miss this event! Will Thompson, influencer and content creator at @goodthompson and the GOOD brand. 6-6:30pm: Sign-in, mingling and snacks/beverages with other bloggers, influencers and creatives. Need to write your blog posts for the week? Want to practice your photography? Seeking some input on some content you created? Come to our first ever strategy session at Identity Coffees! These two hours will be used however you need them to further your blogging efforts.